Aside from the above dress, this week's Friday Favorites all fit perfectly into a seasonal theme...and I swear, it was by sheer coincidence! But that's not too hard to believe...as soon as a tiny bit of Fall weather hits it seems like my focus is on all things Fall. I'm looking at squirrels and costumes and pie recipes all day long. I hope these Faves put you in the spirit of the season at hand. This could be the party dress of my dreams! I adore it! With a black sequin shrug it could be pretty fabulous. 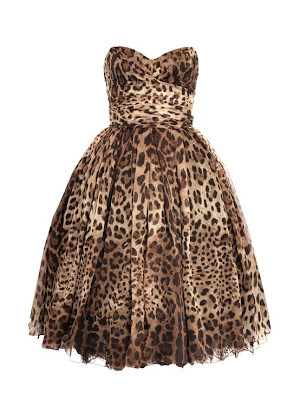 I've been a big Dolce & Gabbana fan forever and they do leopard print like nobody's business. Though, by nature I'm a whole lot more conservative...I'm always adding a cardigan to their va va voom. 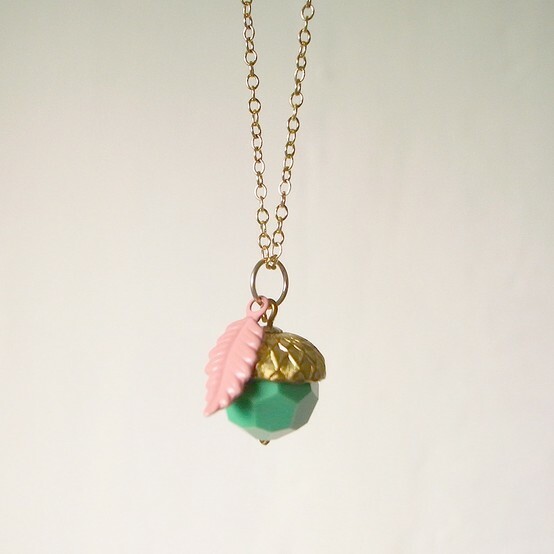 I wanted to kick off the Autumn theme with this adorable acorn necklace. I love pairing muted color with gold. It just has such a soft feel to it. 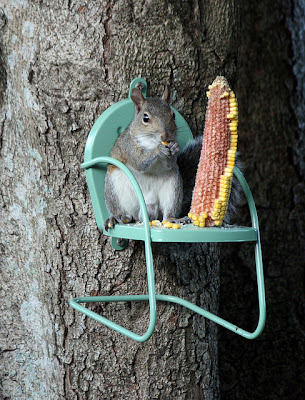 When I see things like this I always think "does the squirrel know that he's sitting in a chair?" It's almost like he's watching the ball game and he brought his corn cob along for a snack. This is just so cute. 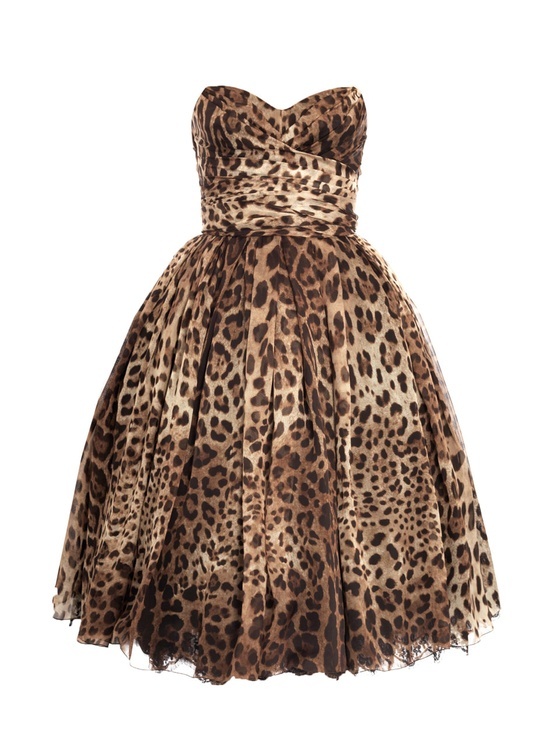 I'm beginning to think that even the leopard D & G dress is a perfect fit for my Fall themed Favorites. 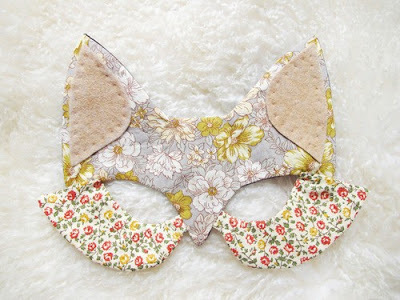 Pair it with one of these fabulous fox masks and you'll be the belle of the costume ball. I Love this guy! 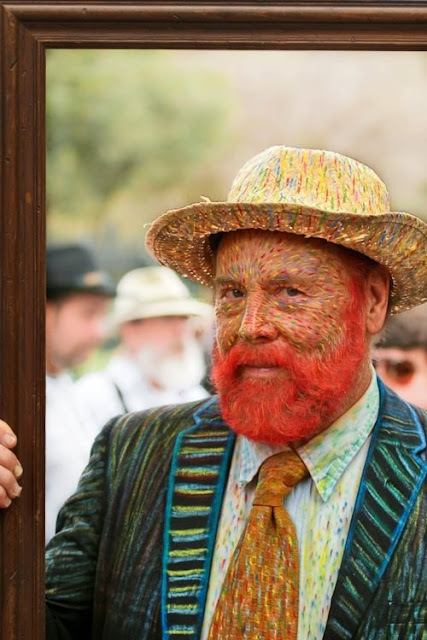 He had a vision for his costume and he saw it through right down to the tiniest brush strokes! Though I'm not too sure that Van Gogh was ever this smiley. 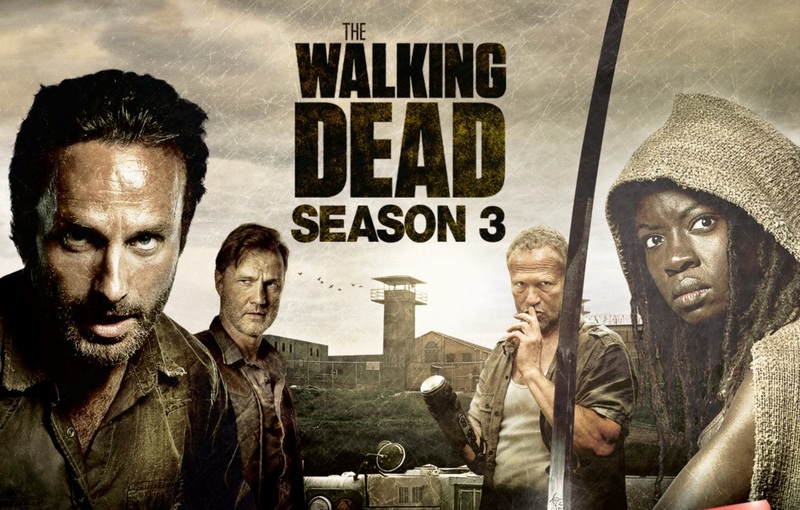 And last but not least...The premiere of The Walking Dead! Just about 48 hours away! I'm all pins n' needles about it! I can't wait...the return of Merle!! 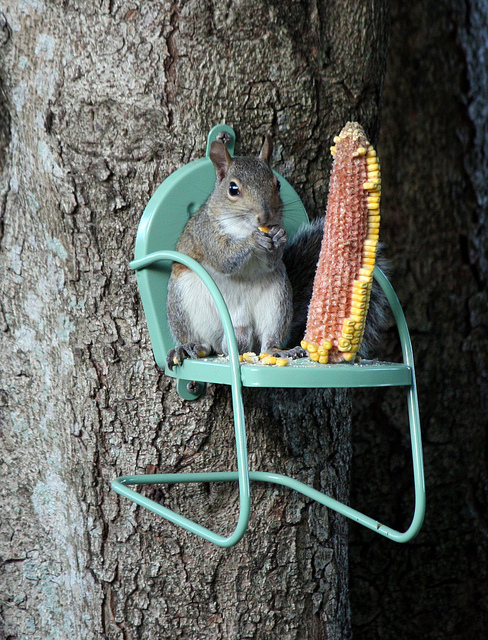 I might invite the squirrel and his corn cob over for the premiere party! Ok, back to work. Happy Friday and Happy Fall to all of you! Thanks for stopping by. 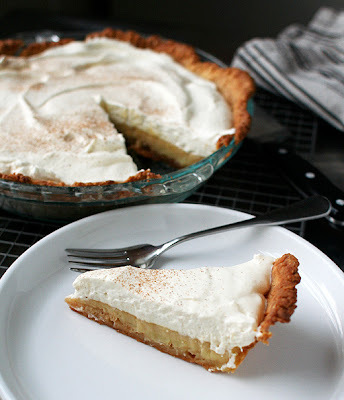 i want to try that pie it looks so yummy! These are all FAB!! I loveeeeeeeee that dress!!!! so so excited for the walking dead. and i kinda need that dress in my life too.